[RIP] Prince passes away at 57! (The) Prince is dead, long live (the) Prince! It is nearly impossible to convey in words the sadness that pervades me today. Prince, one of my favourite artists, has just passed away, at 57. I've been a fan of Prince's music since his early days and I own many of his albums, both on vinyl and on CD. 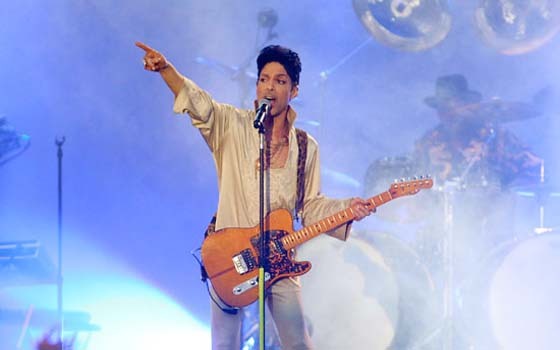 Prince Rogers Nelson (June 7, 1958 – April 21, 2016), known as Prince and subsequently as just a symbol (the love symbol, as “the artist formerly known as Prince”) was a truly eclectic artist: songwriter, singer, multi-instrumentist, record producer and actor. Given this multifaceted personality it is hard to classify his music or, more generally, his art: each album was different from the others, and this attitude made him more a researcher, than a simple popstar. It is useless to list how many records he sold, how many prizes and awards he won or how many hits he composed for other artists. He was just unique so that Rolling Stone (the magazine) placed him 27th among the best 100 artists of all time. What an achievement, huh? Unfortunately, too many people know him just for some if his more popular hits (Purple rain, Kiss, Raspberry Beret etc.) but his albums are so much more than a mere collection of pop hits. Each one is a masterpiece, with a strong idea and musical concept behind them. I dare to say each one was a unique and individual concept album, a well-established tradition that was very popular among pop-rock groups during the Sixties and the Seventies. As an example, take one of my favourites: the triple (!!!) CD Emancipation, the first triple full-length original R&B studio album ever released. It contains 12 songs with exactly 60 minutes per disc, for a total of 36 songs. Prince claimed that the number of songs, discs and length of the album had a something to do with the Egyptian pyramids. Among these songs there's one I've always been in love with (and often used as test track for my listening tests, as well). It's “The Holy River”, which you'll find in a MTV-cut shortened version right below (the original song is much longer, almost 7 minutes, and features an incredibly searing guitar solo). If you really wish to discover Prince's musical universe, avoid the hits and try listening to one of these concept albums, then you'll understand. For me, and for all those who know and love his music, there are no more words to add. We'd better just shut up and listen, as an artist like him appears just once in many decades. Dress in purple.